Are you a cell phone hoarder? You are not alone! OTTAWA – April 20, 2017 – Nearly two-thirds of Canadians are holding on to a cellphone they are no longer using. 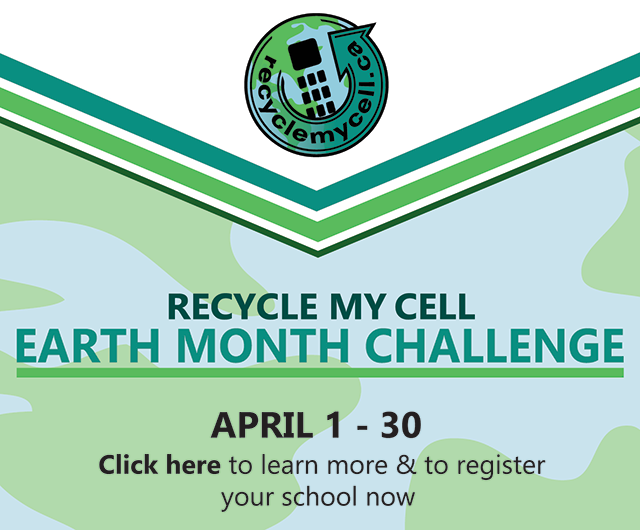 Recycle My Cell is inviting Canadians to celebrate Earth Day on April 22 by recycling those unused cell phones and accessories. Recycle My Cell, Canada’s free cell phone recycling program, helps consumers clean out their junk drawers by pointing them to the nearest drop-off location. Canadians can visit the bilingual website – www.RecycleMyCell.ca and www.Recyclemoncell.ca – and enter their postal code to locate the drop-off locations closest to them where their old wireless devices will be accepted, regardless of brand or condition. If a consumer cannot get to one of the drop-off locations in their neighborhood, the website offers printable postage-paid labels that can be used to mail the device back to Recycle My Cell at absolutely no cost to the consumer. Nearly two-thirds of Canadians (62%) have a cell phone in their possession that they are not using. This represents an increase in respondents who store their used cell phones since 2015 (48% stored). Canadians report storing an average of 2.1 phones. Support for cell phone recycling remains extremely high, with 96% of Canadians either supporting or somewhat supporting the concept of recycling old, unused or unwanted phones. Quebeckers were the most likely to have cell phones in storage (65%), while Prince Edward Islanders were the least likely (47%). On average, Canadians have two cell phones in storage. Nearly half of Canadians (46%) have owned four cellphones or more prior to their current one. Two in five have respectively owned two (20%) or three (20%) phones prior to their current one, while 13% have owned one. More than nine in ten Canadians (92%) actively use one cell phone, while 6% of Canadians actively use two cell phones, and 1% use three cell phones or four cell phones or more respectively. 649,503 wireless devices were recovered in 2016. 7,068,494 wireless devices have been recovered since 2005. Recycle My Cell offers more than 2,500 drop-off locations across Canada. Municipalities, recycling depots, businesses and community organizations across the country can support the Recycle My Cell program by hosting a drop-off location year-round. Registration is quick and easy, and pre-paid shipping and promotional materials are provided at no cost. For more information, please visit www.recyclemycell.ca/host-a-drop-off-location/ or contact info@RecycleMyCell.ca. The 2016 Understanding cell phone recycling behaviours survey, commissioned by the Canadian Wireless Telecommunications Association, was completed by Nanos Research from December 2 to 19, 2016.